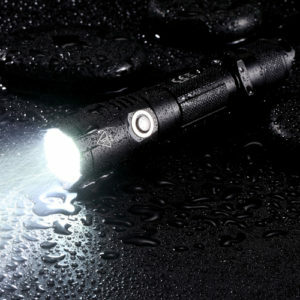 When it comes to flashlights that can take a licking and keep on ticking, NITECORE boasts some of the toughest torches around. From drops and bumps to handling the recoil of gunfire, our flashlights are built for people who rely on their gear 365 days a year. If you’re interested in weapon mounting your NITECORE flashlight or researching what options exist, this blog will bring you up to speed on everything you need to know to get going. What makes for a good weapon mounted flashlight? 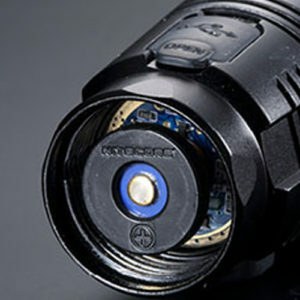 So what makes a “good” weapon mountable flashlight? The good news here is that a vast majority of NITECORE flashlights, especially any of our hunting flashlights, can be mounted on your firearm with relative ease. One of the biggest issues with weapon mounting a flashlight is maintaining a solid battery connection during recoil. The result is a light that flickers, or worse, goes out completely. 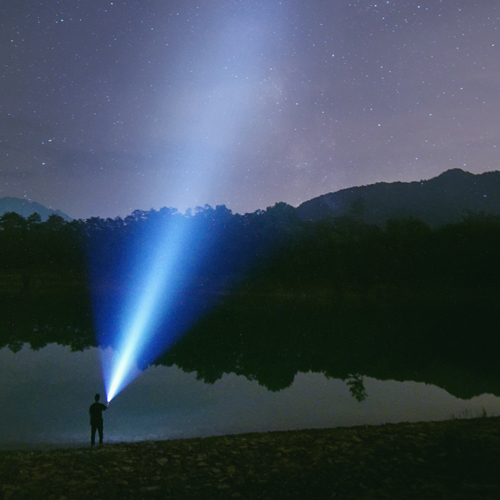 All of our flashlights are built to withstand the rigors of daily use, but several NITECORE lights go above and beyond to ensure your light won’t fail at a critical moment. 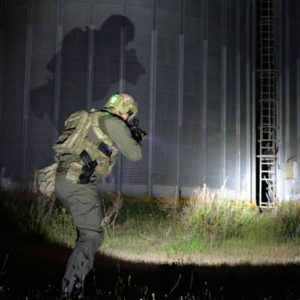 Flashlights like the P12GTS and MH12GTS mitigate the heavy impact from weapon fire with a double layer body tube and spring resistance in the tail and head of the flashlight to ensure a proper connection under all conditions. Next you’ll want to consider the type of output you’d like from your weapon mounted flashlight. Whether you’re hunting or patrolling, in general, you’ll want to look for a flashlight with a very bright and focused beam. Anything capable of 1000 lumens is generally a good place to start, but if you’re really looking to crank it up, look for some of our throw flashlights like the P30 and MH25GTS which can cover some serious distance. These flashlights have a very hot center that is ideal for spotting targets. Once your flashlight is mounted, your hands are likely to be busy elsewhere. It’s not that you can’t weapon mount a side control flashlight, but we think you’ll be a lot happier with a tactical-style tail cap that offers on/off capability from the rear of the flashlight. This also gives you the choice to use a pressure switch so you can place a trigger wherever is most comfortable for you. A final consideration is for how slim you need your setup to be. Flashlights like the MT42 and MH40GTR boast some of the longest throw distances, but these torches come with added size and weight that may not be preferable for home defense or discreet carry. Sticking with a model featuring a 1” body throughout will keep your setup lightweight while still providing a powerful beam you can rely on. Which mount is right for you is going to be largely a matter of your firearm and preferred set up. Fortunately, we offer a wide range of choices with something sure to suit your needs. For an always mounted option: Since you won’t be removing your flashlight frequently, we recommend an option that uses hex/allen bolts to attach to your firearm. You’ll be able to really tighten the bolts (or add a few drops of Loctite) and ensure your flashlight won’t move around from heavy recoil. If you’ll occasionally want to remove your flashlight: Look for a mount option that doesn’t require tools to remove either the flashlight from the mount or the mount from the firearm. Options like our Offset rail mount can be removed from your rail via a thumb screw while the flashlight remains secured by allen bolts. 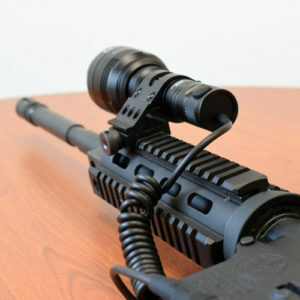 Our high clearance scope mount goes a step further and uses a hand screw that removes the mount completely from both the flashlight and scope in one move. For the fastest install/removal: In this situation, magnetic mounts like the GM02M are the answer. No extra tools needed here as the magnetic body seamlessly snaps onto your existing rail or barrel while a thumb screw clamp lets you quickly remove your flashlight. 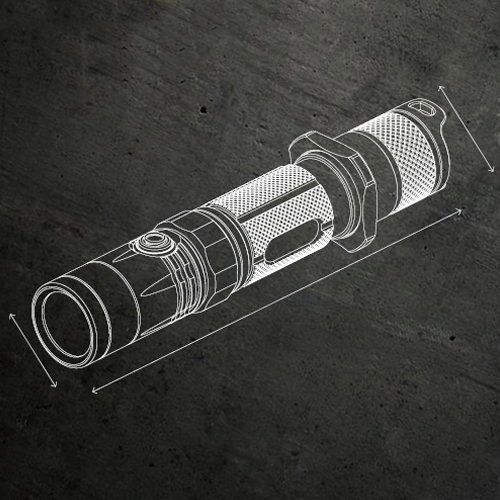 Many of our tactical and everyday carry flashlights are compatible with one of NITECORE’s two pressure switches. Make sure you grab the correct one for your model! 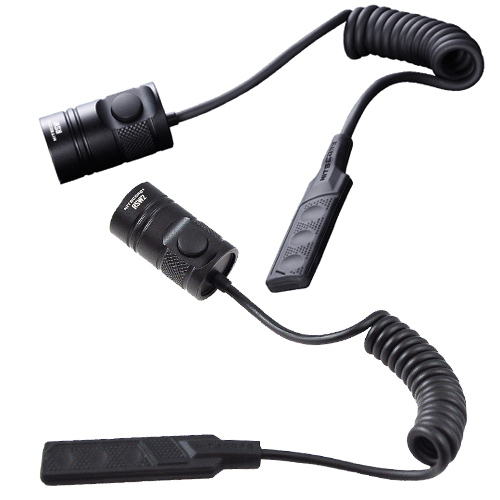 RSW1: Compatible with all NITECORE flashlights featuring a 1” tail cap with a single tail cap button. This includes best selling models like the P12GTS, MH12GTS and MH27UV. RSW2: Some NITECORE flashlights like the P10 and P20 have a secondary paddle switch on the tail cap which offers direct access to Strobe mode. If this is your flashlight, the RSW2 pressure switch is for you. Why we love it: A 1000 lumen beam with a 676 yard throw distance? Yes please! 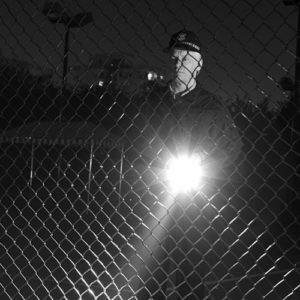 The P30 has specs typically only seen on much bigger flashlights running 2x 18650 batteries. A large, 50mm bezel gives this flashlight its impressive throw while a short, 1” body tube and a single 18650 power source keep the body of the P30 compact enough for hand carry. Why we love it: If the P30 is still a little too bulky for your tastes, the MH25GTS is a great second choice. Not only does it feature an 1800 lumen output, but the 34mm head makes for a slimmer torch that still gives up to 332 yards of throw distance. The MH25GTS also features a USB port built into the tail cap that is internally waterproofed so you don’t have to worry about your flashlight getting wet – even if the port cover is unsecured! Why we love it: If we had to dream up the ultimate flashlight for law enforcement and security work, it would look a lot like the MH27UV. NITECORE combined a 1000 lumen white output with secondary red, blue and UV options so you can get more done without having to switch tools. 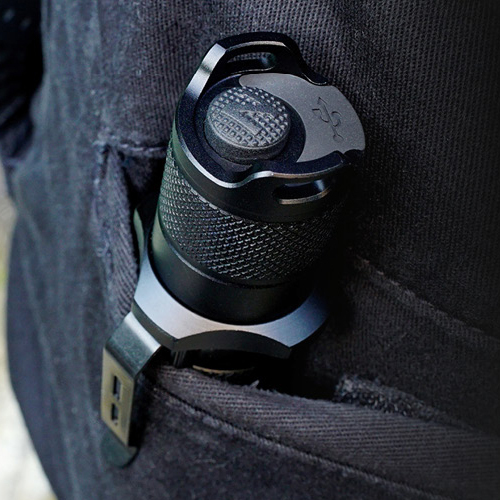 Why we love it: For the slimmest weapon mount option NITECORE offers, the MH12GTS and P12GTS tactical flashlights are at the top of the list. 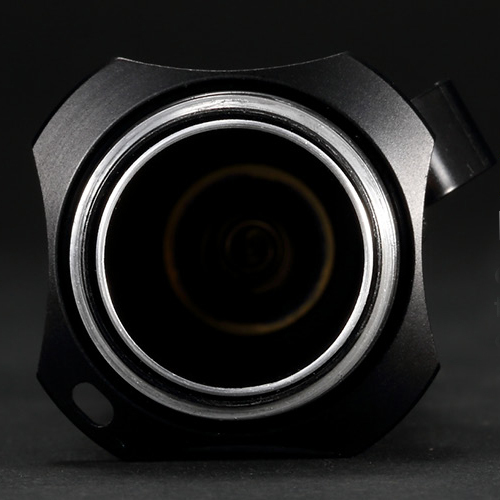 Both offer an 1800 lumen output in a body optimized for weapon mounting. For built-in charging, you’ll want to grab the MH12GTS which has the same internally waterproofed tail cap charging as the MH25GTS. If you prefer to charge externally, you can save a few dollars and snag the P12GTS. Why we love it: When you really need to go the distance, the MH40GTR is there with an impressive 1200 lumen / 1097 yard throw beam that can’t be beat. For hunting and tactical weapon mounting, this flashlight may be on the bigger side but it’s guaranteed to give you the powerfully, focused beam you absolutely need for scanning for targets and defense.